Hewlett-Packard / HP has introduced new mobile and cloud-based printing and sharing solutions for its Designjet wide-format printing systems, including an HP ePrint & Share application for Android. · An HP ePrint & Share mobile application for Android smartphones and tablets, allowing these mobile users to access, view and print drawings. · New features for HP ePrint & Share, including the ability to print PDF files directly from e-mail, and optimization for the Apple iPad. 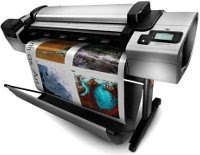 · For Designjet Web-connected printers is HP-enabled cloud printing, now available directly from the Autodesk AutoCAD WS application. HP’s ePrint & Share is a free Web service that enables users to access and print drawings virtually anywhere using smartphones, tablets, and laptops, or from a Designjet ePrinter’s touch screen. It’s primarily designed for freelance architects, small- and mid-size architecture and engineering firms, and mid-size and large construction companies. · Print to any Designjet Web-connected printer, whether at a home office or a partner’s site. Designjet Web-connected printers include the Designjet T2300 eMFP and Designjet T1300 and T790 ePrinters. · Print PDF files directly from e-mail by selecting the HP ePrint & Share application via the “Open in” button provided by Apple iOS devices or “Share” button provided by Android devices. ePrint & Share is available at no cost as a download for Designjet customers. The mobile application is initially available for free through Google Play and Apple’s App Store. HP and partner Autodesk are also demonstrating the new HP ePrint & Share-enabled Plot to Print cloud-printing functionality for AutoCAD WS, a Web and mobile application that enables users to view, edit and share DWG files from virtually anywhere via a Web browser or mobile device. By registering for HP ePrint & Share, users can access and print their designs on any Designjet ePrinter directly from the AutoCAD WS application, with full control over plot styles, paper sizes, layouts and more. When printing from AutoCAD WS using ePrint & Share, a high-resolution copy of the file is saved to the user’s ePrint & Share cloud library, making it easy to retrieve, share and reprint designs. Printing a human organs, healing wounds using printers! Printing a human organs, healing wounds... Printers are getting better and smarter. Amazing new technology! But if you still own an inkjet or laser printer and you need supplies for it, don't hesitate to visit our ink and toner web store at www.priceless-inkjet.com! Get 20% off replacement products and free shipping, just by creating a personal page! NetGear, Inc. has upgraded its Genie App so that virtually any printer or MFP, whether connected to the network or via USB, is compatible with Apple’s AirPrint mobile printing solution. Previously, Apple mobile users could only print to AirPrint-compatible printers and MFPs - unfortunately, though, only a small range of printers currently are AirPrint-compatible. 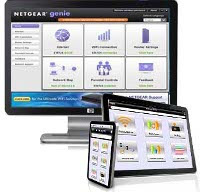 With the new NetGear Genie App, however, Apple iPad, iPhone and iPod touch iOS users can wirelessly print to any printer or MFP, whether connected wirelessly to the home network, USB-connected to a PC, or connected through a USB port to a NetGear ReadyShare print-capable router. The Windows OS and Mac OS NetGear Genie App upgrade is available for download at no charge at netgear.com/genie. NetGear Genie is also available for download for Apple iPad, Apple iPhone, and Android Smartphones and tablets from the Apple store and Google Play store. Genie sounds cool but an analysis of the feature set tells us that since a USB-connected printer can process AirPrint jobs via Genie, there is software running on the PC that directs the incoming AirPrint job to the printer. It also means that a PC needs to be running with print drivers installed in order for Genie to do its thing. Remote printing solutions such as HP ePrint and AirPrint only require that a printer is installed on a network with Internet access–a running PC and/or print drivers on either end are not required. In summary, NetGear Genie is a free workaround for iOS users who cannot afford a $99 AirPrint/ePrint capable printer and don’t mind having a PC up and running 24/7. Global Payments, the U.S.-based credit card processor company that experienced a security breach affecting plastic issued from Visa and MasterCard, today confirmed that the breached portion of its processing system was confined to North America. The company also finally revealed how many credit card numbers were stolen: less than 1,500,000. 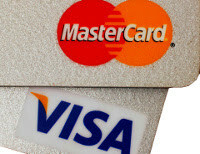 News broke on Friday that Visa and MasterCard warned banks of a major potential breach at a U.S.-based credit card processor. Both Visa and MasterCard then confirmed the breach, although the two also emphasized their own security systems were not compromised. Soon after, Global Payments confirmed it had identified unauthorized access into its processing system. Estimates previously ranged from 50,000 to 10 million credit cards, but Global Payments has reduced that to just 15 percent of the upper bound. Then again, 1.5 million credit card numbers is nothing to scoff at. Thankfully for Global Payments, analysts say the firm will be able to absorb any costs it needs to. Previous reports suggested that full Track 1 and Track 2 data was taken, which means perpetrators got enough to counterfeit new cards. Global Payments’ investigation to date has revealed that Track 2 card data may have been stolen, but the company is still not sure. On the other hand, Global Payment was confident enough to say that cardholder names, addresses, and social security numbers were not obtained by the criminals. The origin of the hack is still unknown. As on-line customers ourselves, we at Priceless Ink & Toner Company are concerned about our own privacy too and thought it would be good to send a courtesy message to our customers and assure you that any billing information shared with Priceless is safe and secure. Our company does NOT use services provided by Global Payments. We take pride in our "Triple Secure Checkout System" which ensures all data provided to our company is kept safe and secure. It has been since 1998! On April 24, Hewlett Packard / HP shared with us some information on the new manufacturing facility it is building for printers in Chongqing, China. The firm’s goal was to clarify certain inaccuracies in various industry publications’ articles on the story. On April 18, SinoCast reported that HP was partnering with Foxconn Technology Group to build a new printer production base with a capacity of 30 million printers in Chongqing. That same day, various IDG news outlets, including PCWorld, reported that HP had signed an agreement to build a new printer factory in Chongqing. HP CEO Meg Whitman, said the PCWorld story, participated in a signing ceremony. The article said that the factory would take two to three years to build and would produce 40 million inkjet printers, 20 million laser printers, and 150 million inkjet cartridges by 2015. Other reports, such as an April 19 article in China Daily, said that Foxconn was the party that had signed the agreement with Chongqing municipal government. The China Daily article also said the move was part of HP’s strategy of gaining share in China’s PC and printer markets and that HP’s PC market share in China has declined by 50 percent between 2009 and 2011. That article said the factory would produce 30 million printers annually. Taiwan-based Foxconn conducts contract manufacturing for many technology companies, with the majority of its factories located in China. The company manufactures HP laptops and desktop PCs in Chongqing. Recently, Foxconn has come under scrutiny regarding labor conditions at its factories in China, including recent coverage of facilities building iPads and other products for Apple. The news about the new manufacturing base left us with lots of questions. Some reports mentioned Foxconn, while others did not, and we wondered to what extent each party was involved in the proposed factory. Also, reports varied on what the facility will produce. If, as the PCWorld article stated, the facility would be producing laser printers, that would be particularly big news as Canon is HP’s exclusive laser manufacturing partner. So, we wondered, is Canon a partner in this endeavor? And if not, was this story even bigger news and was HP contracting with a new laser manufacturing partner? HP, however, indicates that reports that the Chongqing factory will be producing laser printers and inkjet consumables are inaccurate. The new factory will make only entry-level inkjet printers for HP. · HP’s local manufacturing supplier is planning to build a manufacturing facility in Chongqing. · HP expects to use this facility, once completed, to manufacture entry-level HP Inkjet printers. HP confirmed today that Foxconn is HP’s “local manufacturing supplier,” and clarified that Foxconn, not HP, signed an agreement with the Chongqing government regarding building the new facility. However, HP did sign a domestic sales contract, under which the local government agrees to support sale of HP products in China. It does not appear that HP has plans to shift manufacturing from its current facilities for making printers or supplies to the facility in Chongqing or to consolidate all manufacturing operations in China. HP indicates that only Foxconn can provide details on when the new Chongqing facility will be operational, and the company declined to comment on details such as the size of its or its partner’s investment, the size of the facility, or the eventual number of employees. HP did confirm that it expects to produce as many as 15 million inkjet units annually at peak periods. Thus, while the news of HP’s new manufacturing base for entry-level inkjet printers is significant, to be sure, it does not seem that the Chongqing facility represents quite the seismic shift in HP’s printer and supplies manufacturing base as was first reported.